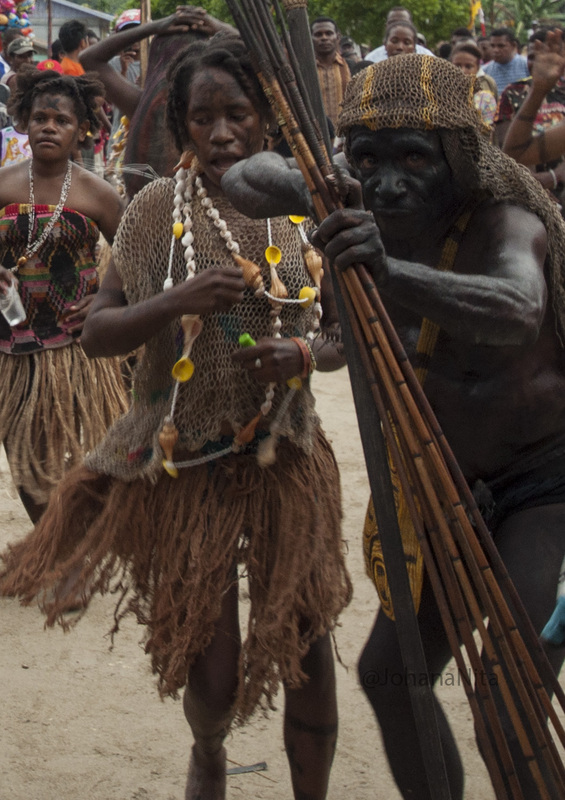 Mee tribal demonstrate Meeka Umitou culture on Kaimana Twilight Festival, in Kaimana, West Papua. Mee tribe is one of the tribes that occupy Kaimana Regency. This tribe live in the mountains.